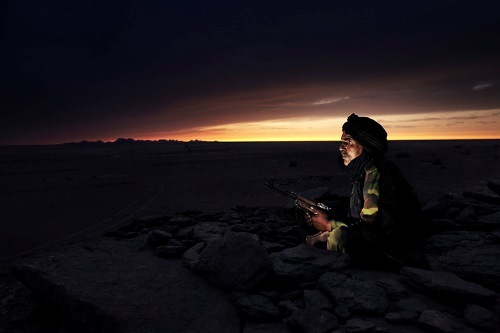 Sahrawi youths, having been denied a homeland by Morocco for years, are getting increasingly frustrated in their refugee camps in the Algerian Sahara. 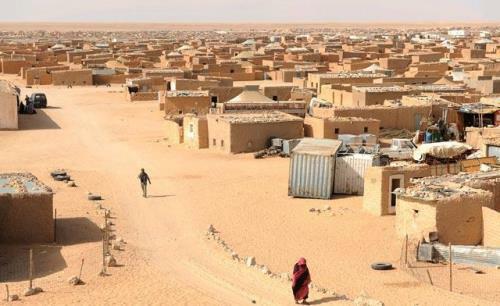 Tens of thousands of Sahrawi people from Western Sahara have lived in exile in refugee camps in the Tindouf province in western Algeria for almost four decades. 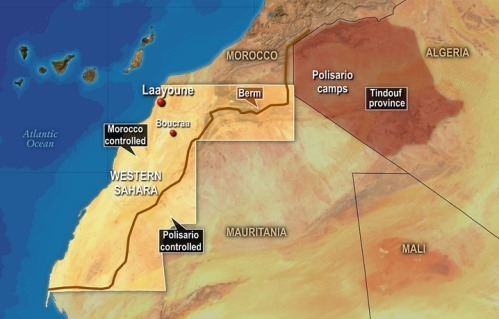 The Moroccan government controls most of Western Sahara. A three-meter-high wall, built in the 1980s to hinder Sahrawi soldiers, separates Moroccan-controlled Western Sahara from the areas to the east and south (the ‘Liberated Territories’) that are controlled by the politico-military organization Polisario Front (Popular Front for the Liberation of Saguia el-Hamra and Río de Oro). The wall is flanked by the world’s longest minefield and is heavily guarded by Moroccan soldiers. “My family fled from Western Sahara because of the Moroccan bombings,” Mohamed states matter-of-factly, explaining how he came to be born in one of the Tindouf camps. Two generations have now been born in the refugee camps and most have never seen their homeland. They are, however, well aware of the history of the Occupied Territories, which has been passed down from older generations. While free to live in Western Sahara, Sahrawi people must first recognize Morocco’s sovereignty over their homeland. Mohamed explains, “Young people are the majority [of the camps], about 70 per cent of the population.” Having such a young populace poses many challenges in terms of providing appropriate services and having the right infrastructure in place. While primary and secondary education is provided free of charge, students must travel to attend university. The ongoing occupation of Western Sahara by Morocco can at best be described as a political stalemate. Since 1991, the United Nations’ Mission for the Referendum in Western Sahara (MINURSO) has had a mandate to prepare a referendum in which the people of Western Sahara can choose between independence and integration with Morocco. While the Sahrawi people see a referendum as their best chance of leaving the refugee camps, the Moroccan government has repeatedly blocked negotiations. Earlier this year, a UN resolution on Western Sahara called on “the parties and the neighboring states to cooperate more fully with the United Nations and with each other and to strengthen their involvement to end the current impasse and to achieve progress towards a political solution”. The resolution recognizes that finding a solution “would contribute to stability and security in the Sahel region”. “Morocco is the biggest exporter of phosphates in the world,” says Breica, but points out that it is hard to quantify how much of the resource comes from the Occupied Territories. Morocco is home to three-quarters of the world’s reserves of phosphate, which is used to make commercial fertilizer. The United States is the largest importer of Moroccan phosphate. Morocco’s state-owned phosphate company, the Office Cherifien de Phosphate (OCP), is set to become the world’s biggest phosphate producer by 2017. The company hopes to raise $600 million in foreign markets to boost output, raising serious questions over who benefits from the planned expansion. Fishing in Western Saharan waters is a similarly thorny issue. While Polisario has tried to halt fisheries agreements being signed, on December 10 2013, the European Union approved a deal with Morocco that will allow EU fishermen to enter the waters of Western Sahara. Just days before, in the northern city of Laayoune in Western Sahara, Moroccan police violently cracked down on peaceful protesters demonstrating against the EU trade deal. Despite extensive natural resources, the Sahrawi people have been completely dependent on foreign aid for decades. “Sahrawi students in the Occupied Territories watch their natural resources get plundered by Morocco,” Mohamed says. This has led to a growing sense of resentment, raising fears of where such frustration could lead. The United Nations recognizes the danger that the radicalization of youth in the refugee camps would pose, not just locally but across the region. 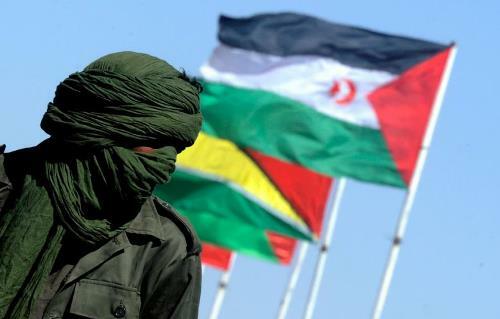 “People are not seeing any future, people are living in the middle of uncertainty and this makes it very difficult,” Polisario spokesperson Breica warns. However, groups like the Sahrawi Students Union are working hard to provide alternatives for youth in the camps. They work with international organizations to secure scholarships to send students abroad and they organize programs to give young people something to do during the unbearably hot summer months, when temperatures exceed 50 degrees Celcius. Although the Tindouf camps are extremely isolated, foreigners are welcome and their presence helps to forge connections with the outside world. Programs are offered to foreign university students, so that they can come and work in the camps, for example assisting in the local hospitals. An annual international film festival is also hosted in the camps, which was attended by over 500 foreigners this year. Mohamed says that the Sahrawi Students Union remains committed to finding a peaceful solution to the issue of occupation. If the Sahrawi people do gain their independence from Morocco through a referendum, he says that “even [with] Morocco we [can] accept economic relations and agreements in the future”.